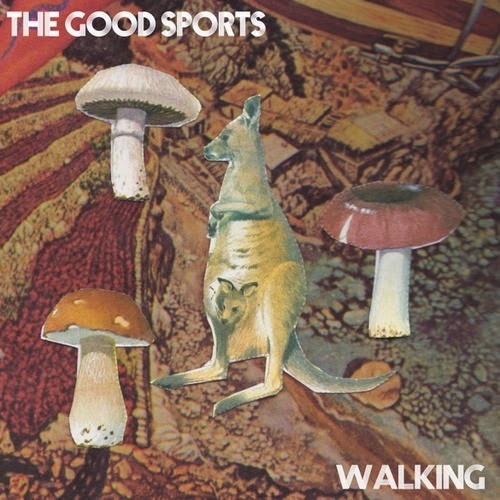 Three months ago Brisbane's The Good Sports gave us 'Out Of The Way'. Keeping to the same formula but tweaking their sound just a little, their brand new single 'Walking' features their reverb drenched australianana lo-fi sound taking on a more 60's psych influence. Sporting a new line-up and new material, they will embark on their "Doubles and Singles" two-state tour starting at the end of this month, announcing dates in Victoria and Queensland. FRI 28th MARCH | Black Bear Lodge, Brisbane, QLD w/ BABAGANOÜJ + The Good Sports + Love Signs. SAT 5th APRIL | Playground Bar, Melbourne, VIC w/ THE RED LIGHTS + The Good Sports + The New Pollution + Jimmy Junk Heart.